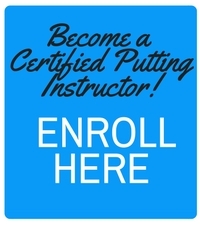 Simon Hanson has only just started this year in his role as the Head Professional at Kemnay Golf Club in Aberdeenshire, but he is already making a difference to his club members by becoming a Certified Putting Instructor (CPI) and offering some new services. Hanson took advantage of the special PGA in Scotland subsidy offer and is in the process of converting an area of his pro shop to create an indoor putting studio. 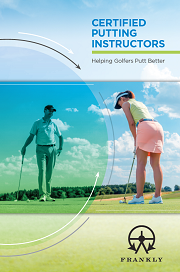 CPI Simon Hanson, ready to help golfers putt better! Having been the Head Professional at the Paul Lawrie Golf Centre for 4 years which he enjoyed, Hanson was ready to take on a new challenge and run his own business at Kemnay, having studied business at university in Edinburgh. The CPI Course experience helped Hanson, who started playing golf at age 10 at Dufftown Golf Club, learn some new information about putting as well as reinforce some of his knowledge. Golfers who seek Hanson’s expert advice can be assured of an experience where they will leave with a plan for improvement.